It’s been years since a cruise line last sailed regularly from the Alabama Cruise Terminal in Mobile. Carnival will return to the port in less than a month. That means the port is hard at work in making sure everything is ready to welcome the Carnival Fantasy when she arrives. Its most obvious work is a $4 million facelift to the cruise terminal. As reported below from Mobile’s WKRG, the money is being used to make some much-needed upgrades, including new paint, check-in terminals, and carpet. The upgrade is a smart move by the city. Considering the economic impact that a cruise can have on a city, $4 million is only a drop in the bucket over the long-term. Right now Carnival only has cruises schedule through April 2018 from Mobile. 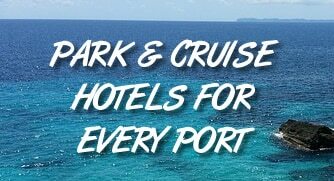 There is a risk that after these cruises finish, the cruise line may move the ship somewhere else. These upgrades should help Mobile be a more attractive partner and help to entice Carnival to continue sailing well into the future. Check out the video below for more details on the updates.